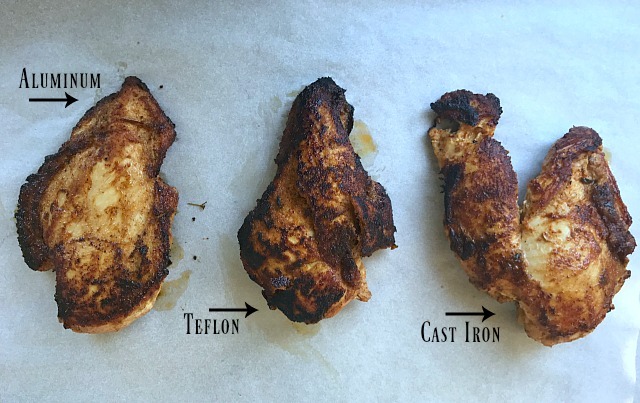 Home » Chicken » Aluminum, Teflon or Cast Iron Pan…Which is Best? 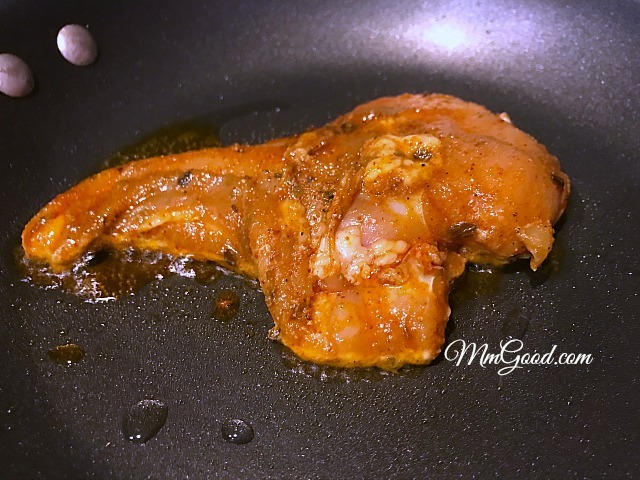 In testing the different frying pans, I cooked my chicken Baja recipe, the chicken was marinated together and then I cooked the chicken in using the same amount of oil and time, of course, time had to be modified based on the thickness of each piece of chicken and the pan. My first test was using an aluminum frying pan; I used these pans in the commercial kitchen I worked in and always loved it. 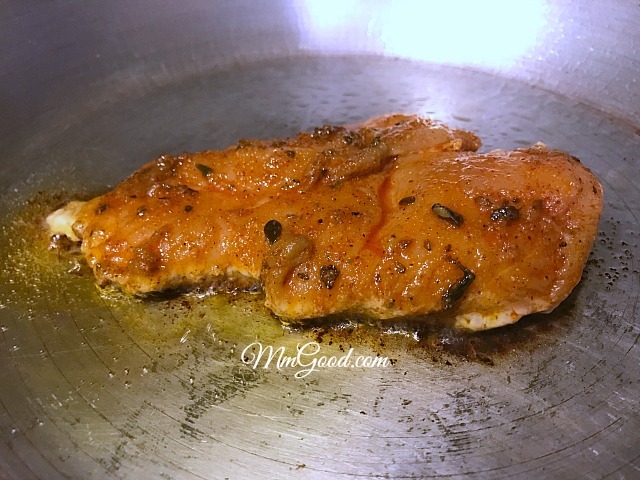 My second shot was using a Teflon pan, Teflon pans can be found in most stores making them more available and because of their ease of cleaning and cooking, I have found this pan to be the universal pan in most homes. Finally, I used my cast iron skillet, you know the one that weighs 100 pounds (exaggerate much?) and is not the easiest pan to wash? As you can see all my chicken cooked up evenly, browed lovely so which pan was best for my chicken recipe? For me, I found the aluminum pan did get hot fast and it cooked the chicken really fast (I can understand why they are used in commercial kitchens), the Teflon pan was great because it browned the chicken perfectly and clean up was super easy but the cast iron pan, I like how it cooked the chicken, the way it browned it and how evenly the chicken cooked up. 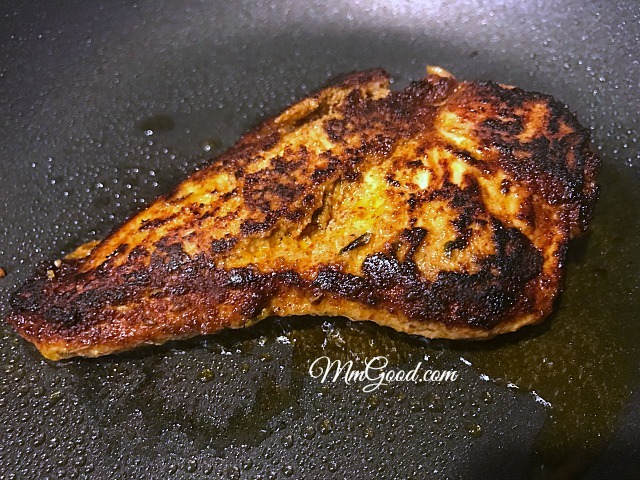 In tasting the chicken, I found the aluminum pan had a different flavor, I never noticed it before but in doing the side-by-side comparison I could almost taste the metal in the pan. Clean up for this pan required more than a sponge and I did have to scrub the pan with a scrob. The Teflon pan was great, the chicken cooked up evenly, the taste was good and the pan was super easy to clean. 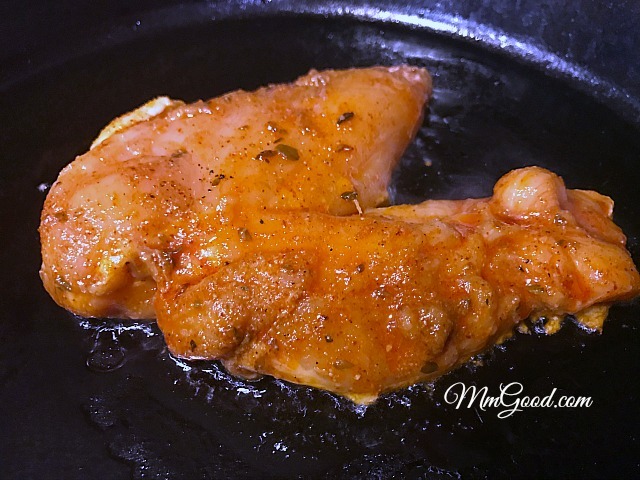 The cast iron skillet, I loved the flavor the most from this pan, maybe because the pan has been well-seasoned from years of use, the chicken cooked up evenly as well. The clean up on the cast iron pan and the weight of the pan may deter you from wanting this pan but if you can get over those 2 issues, hands down it’s a great pan to own. 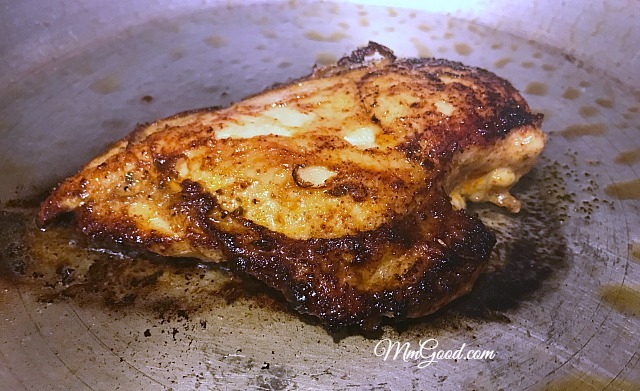 The Teflon pan was great, the chicken cooked up evenly, the taste was good and the pan was super easy to clean, no surprise with any of the results. 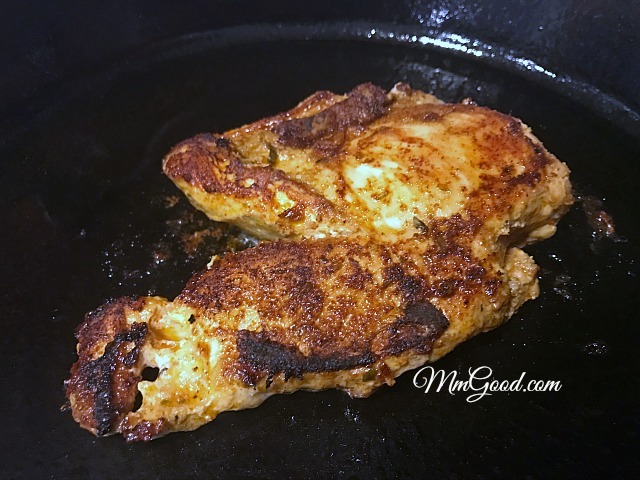 The cast iron skillet, I loved the flavor the most from this pan, maybe because the pan has been well-seasoned from years of use, the chicken cooked up evenly as well. The clean up on the cast iron pan and the weight of the pan may deter you from wanting this pan but if you can get over those 2 issues, hands down this was the pan for me. I hope you enjoyed my comparison, I welcome any comments you may have with regards to your own experiments.